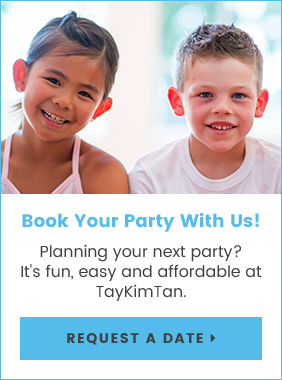 Book your next party with TayKimTan's Fun Town. Your children and all their friends will get access to our full facility, available 7 days a week, completely private use starting at $295+HST. Just sit back, relax and have FUN! $65 - Additional 30 min. Before you book your party, please read our private party checklist, and party booking contract. Sorry, absolutely no pinatas or confetti will be allowed on the premises. Please see our Park Rules and Party Booking Contract.